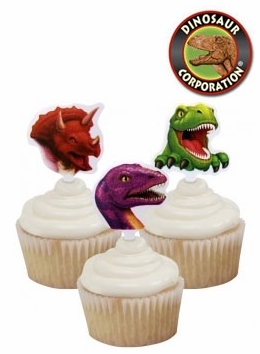 Dinosaur Party Cupcake Toppers are a perfect fit to decorate your birthday party cake. * Dinosaur designs feature three dinosaurs: purple Brachiosaurus, green T-Rex, and orange Triceratops. * One 12 count package.